A new microscope is expected to be a game-changer for Melbourne eye surgery. 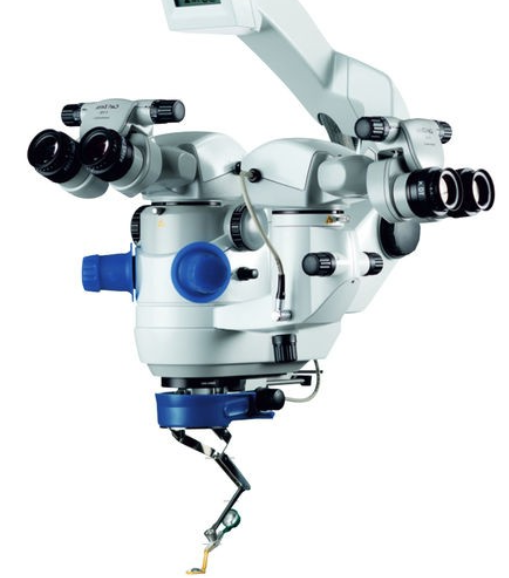 The new surgical microscope at Epworth Freemasons in Melbourne delivers a live cellular view deep into the eye. It will give an enhanced view of the macular, which is responsible for central vision, but is only about 250 micrometres thick. This will allow ophthalmologists to conduct microscopic repairs to tears, holes and damage to the retina and macular. Epworth Health ophthalmologist Dr Elvis Ojaimi says it is something he had been dreaming of for years. “In real time it allows me to see things I can't see with my own eyes,” he told reporters. The Lumera 700 with OCT microscope cost more than half a million dollars, and was paid for by the Epworth Medical Foundation. The foundation raises funds for state-of-the-art medical tech and research.